The point of a cocktail is to warm the soul and lift the spirits. So what better way to end a chilled, snowy Sunday evening than with booze-laced coffee! No, we’re not going with the traditional Irish Coffee, or even the lazy man’s Irish Coffee (coffee, cream, Baileys). This is a unique play on a traditional winter cocktail. If you like a little bit of sweet with a swift, southern kick in the pants, this is the one to try. Here’s how I made individual cups, although this is easy to increase for groups. Pour your coffee into a normal-sized coffee mug. 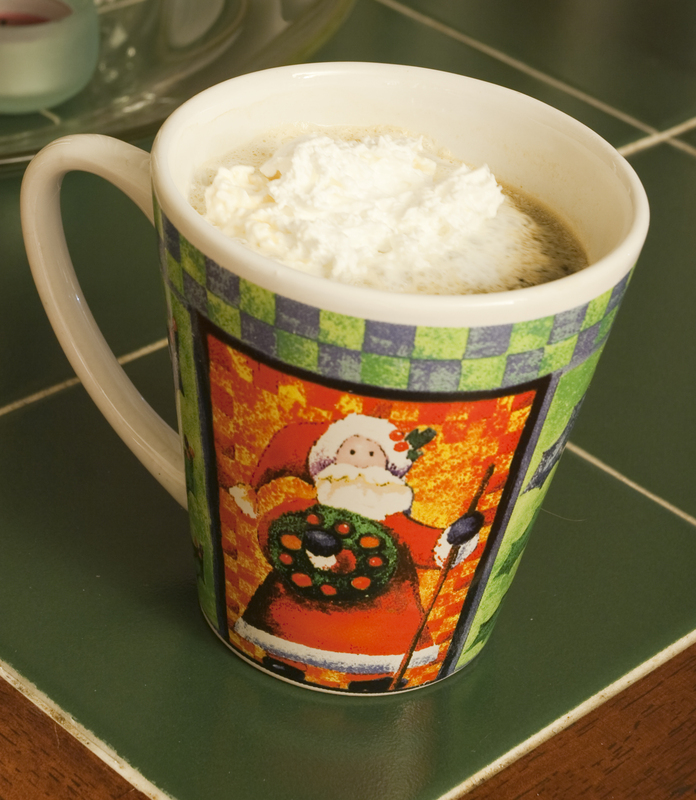 Unfortunately, I don’t happen to have any clear Irish Coffee mugs, so I settled on a Santa mug. What? 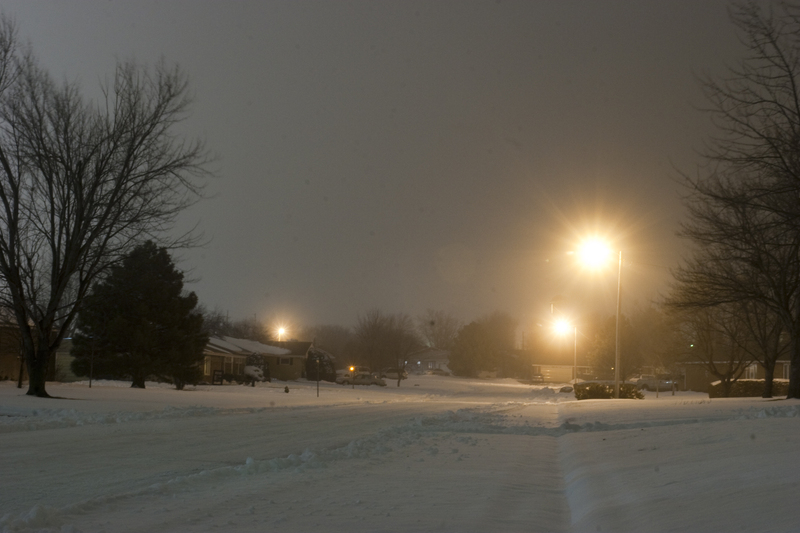 It’s snowy out! Close enough to Christmas for my tastes! It depends how well you like your bourbon. The creme de menthe gives the drink a really nice, wintery burn. The bourbon has a really strong presence, but the whipped cream helps take some of the edge off and syrup adds a thick sweetness. I recommend brewing your coffee very VERY strong if you want to keep that coffee taste in there, otherwise the bourbon, creme de menthe and brown sugar syrup will overpower the coffee taste. Mark: Really good. Will replace coffee and Baileys as my snowy drink of choice. Jenn: Not bad. Too bourbon-y for my tastes. Baileys, coffee and cream stays at the top of my choice list for coffee cocktails.